Andrew Manze conducts three majestic works: Vaughan Williams's Sinfonia Antartica, Holst's Ode to Death and Beethoven's Emperor Concerto with celebrated pianist Stephen Hough. Did you know that Vaughan Williams' Seventh Symphony, the Sinfonia Antartica, started life as a film score? It was originally composed for the 1948 production Scott of the Antarctic, which told the story of the failed South Pole expedition of Robert Falcon Scott. Vaughan Williams was so inspired by the atmospheric subject matter that he gave his score the symphonic treatment and the new work was premiered in 1953. The eerie, shimmering landscape of the Antarctic is conjured in this concert by the Royal Liverpool Philharmonic Orchestra, soprano Rowan Pierce, and the Royal Liverpool Philharmonic Choir, conducted by Andrew Manze. The programme also contains Holst's elegiac Ode to Death: a setting of transcendentalist poet Walt Whitman's 'When Lilacs Last in the Dooryard Bloom'd' and composed by Holst in honour of his friends who lost their lives in World War I. As RLPO Artist in Residence this season, celebrated pianist Stephen Hough has been performing all of Beethoven's piano concertos. Tonight he reaches the fifth: the majestic Emperor Concerto. This is a piece that just doesn't get old, as Hough himself confirms: "You could have played Beethoven's Emperor Concerto for 50 years, and you play it in your 51st year, and you're trembling with excitement and passion all over again". Orchestra: Royal Liverpool Philharmonic. Conductor: Andrew Manze. Performer: Stephen Hough. 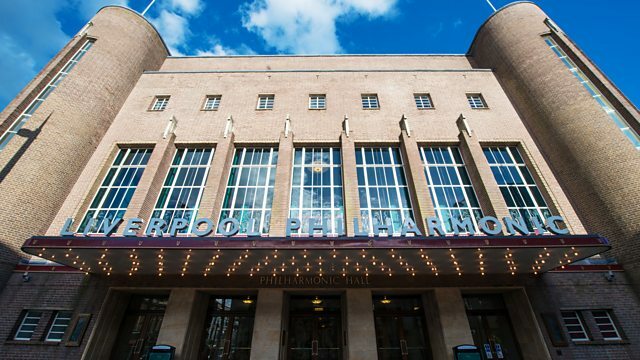 Orchestra: Royal Liverpool Philharmonic. Orchestra: Helsinki Philharmonic Orchestra. Conductor: Leif Segerstam.